An aide to Clinton, speaking under anonymity to CNN, confirmed both Hillary and Bill Clinton would attend the inauguration. 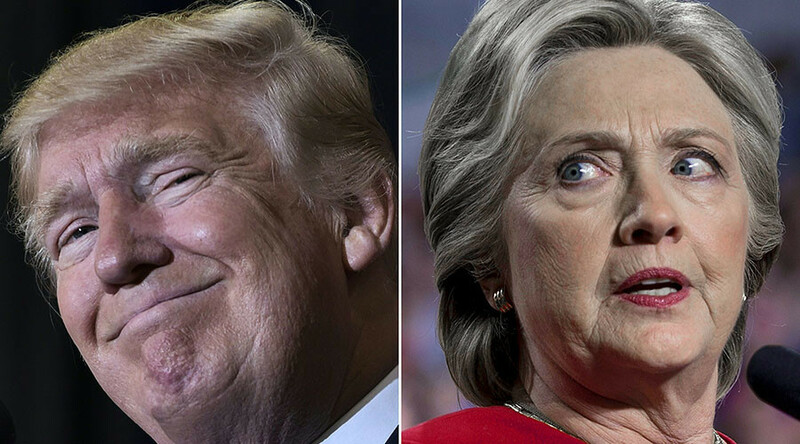 It will be the first time Clinton and Trump are publicly seen together since a fundraising dinner for Catholic charities in October, where both candidates mocked each other during speeches. During one of the most bitter US presidential campaigns, Trump dubbed his opponent ‘Crooked Hillary’ citing her relationship with Wall Street as corrupt and calling her a “nasty woman” during a debate. Following the leaked audio of Trump’s ‘p***y-grab’ comments he retaliated by reviving accusations of sexual assault made against Bill Clinton. Two hours before the second presidential debate in October, Trump staged a media event with four women who claim to have been abused by Clinton. The inauguration is traditionally attended by past presidents, a number of whom Trump has attacked during his controversial campaign. George W Bush, described by Trump as making a “big, fat mistake” in invading Iraq confirmed he will attend along with his wife Laura, both of whom reportedly declined to vote for Trump. Bush’s father and former president, 92-year-old George Bush Snr will not be attending due to ill-health. President Barack Obama, whose policies Trump has continually criticized, will also attend the inauguration, as will former President Jimmy Carter. Plans for the inauguration have been complicated by a number of artists turning down invitations to perform at the event. Among those set to perform on the day are the Radio City Rockettes, who were told by a union that they were “obligated” to work.